Students must bring 2 things for school lunch everyday. 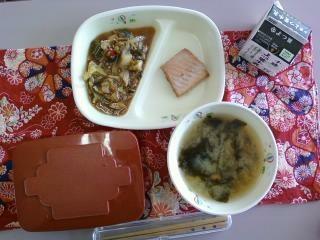 One is a pair of chopsticks and the other is a lunch mat, such as a cloth napkin. Most students keep them in a rectangular draw string bag. When students forget to bring them, they can filch disposable chopsticks from their friends or borrow from the teacher, but they are usually just out of a lunch mat. 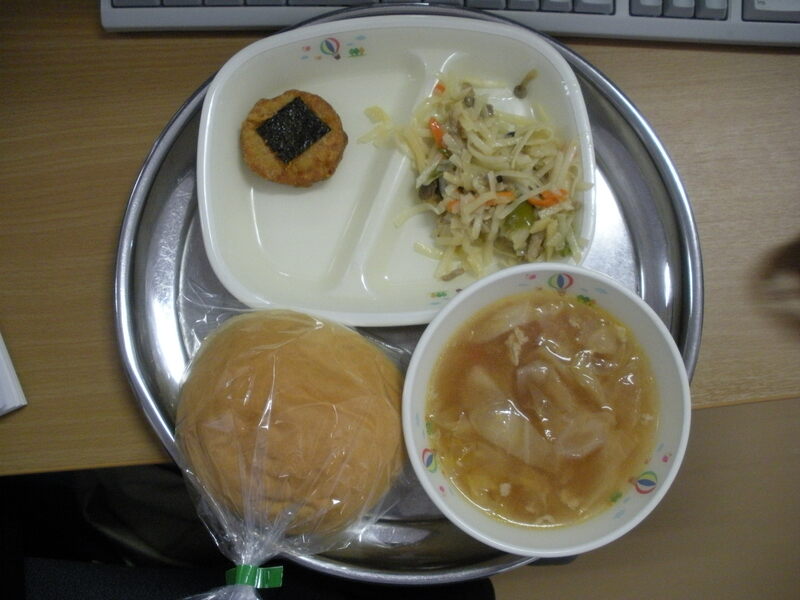 The eating of school lunch on a lunch mat or tray is an interesting tradition of Japan. 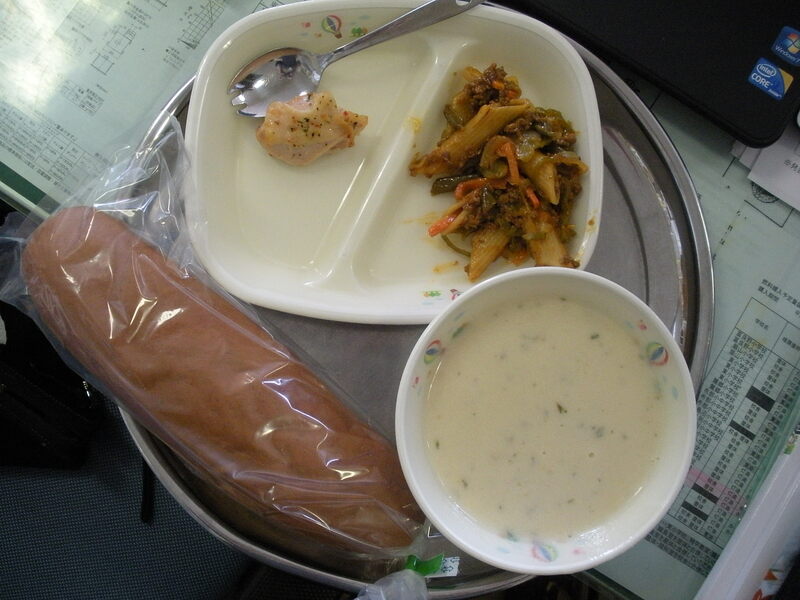 As a child, my school lunch was served on a compartmentalized tray on which the food was directly placed. The tray/plate was then placed directly on the table. 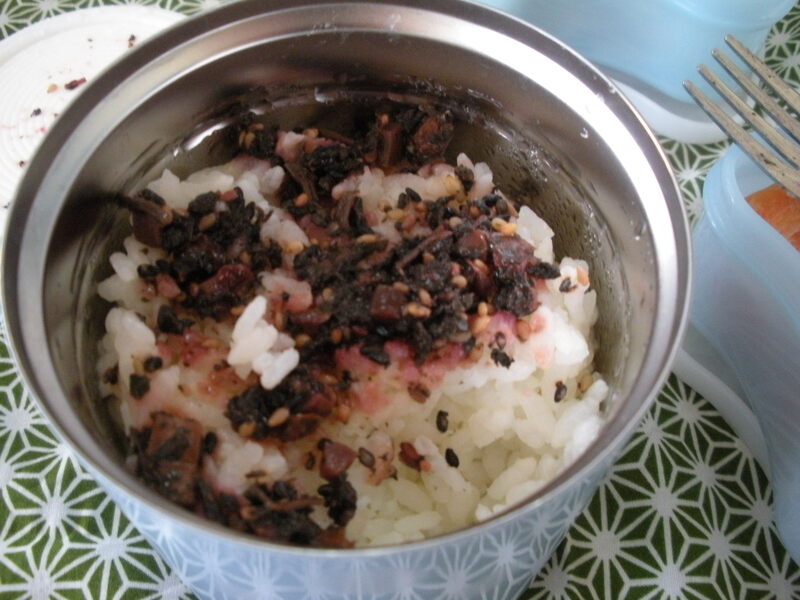 In Japan, there are separate dishes for the soup, rice, and okazu. Today, as it is bread day, there is no rice container and most students break off bits of bread while it is still in it’s plastic bag, or use the bag as a sort of plate (the latter being my method). Anyway, I suspect the wide use of trays to eat off of stems from the traditional Japanese custom of eating everything off a legged tray, which was of course placed on the floor. Thus while Japan has adopted the foreign tradition of using tables (although often low tables without a need for a chair), vestiges of the days when legged trays were used still remains in the kyuushoku lunch mat.